For those that don’t know NHK is the Japanese Broadcasting Network. A bit similar to the UK’s BBC, it runs regular new reports and articles on local and international affairs. They actually have websites in many different languages (including English) if you want to read about current affairs in Japan without needing to read the Japanese. Besides learning about Japanese affairs as they happen, NHK can be a great resource for studying the language for all levels. NHK Online Lessons: NHK offers free online lessons for beginners learning Japanese using MP3 and pdf worksheets. They release 10 minute radio postcasts a week for beginners as well. The big difference between these lessons and other beginner classes, is that the NHK ones are aimed at people going to Japan to live or for business. I still think that these are very useful for beginners who are probably going to Japan for a year abroad or to do JET. It not only helps with the language but mannerisms in an office environment. NHK Easy News: This site is great for N4-N3 levels. These news reports are written for Japanese children, so they’re simplified news stories with furigana included! It updates every day so there’s always something new to read. NHK is probably going to be more useful for intermediate to advanced learners as you can utilise the native Japanese in a number of different ways. NHK Online homepage: From there you can see a number of options, including a bar near the top of the page with a number of options such as アニメ or ドラマ. These will often have a page with a long list of items that are being aired by NHK at the time and will link you to external sites about those topics. NHK News: If you’re studying for one of the higher levels of the JLPT then general topics probably aren’t what you need. 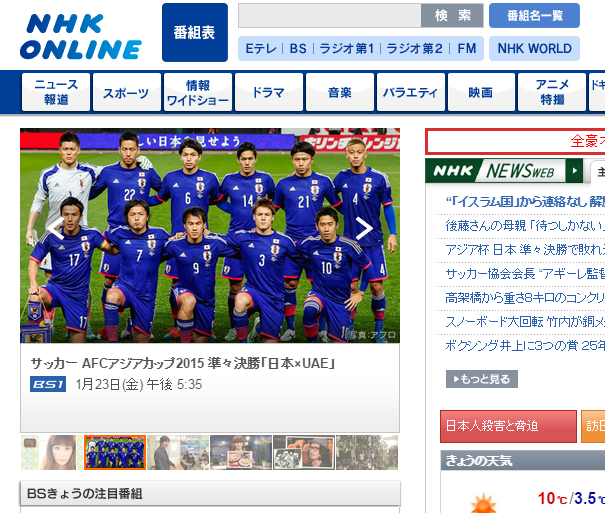 The NHK News site is fantastic because it doesn’t have newspaper level Japanese. That is to say the articles are not restricted by space so the practice of dropping particles, verbs and kanji in an article are reduced. The titles of stories do still have this, but most articles are written in regular formal Japanese. New articles are great because they have a wide range in subjects from local to international news. 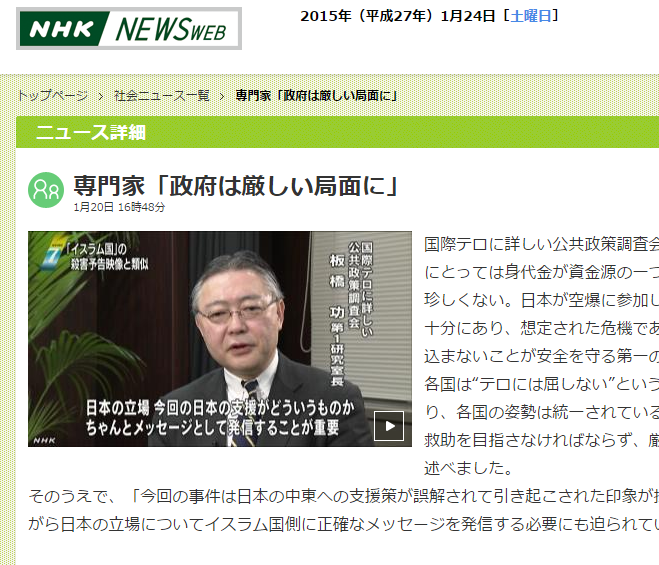 (I also think the NHK News site has a much better and clearer layout). 動画 videos: Besides reading articles a really good way to practice is through their 動画. These are short news articles from the TV which you can watch and then read the article of for reading practice. This helps with general comprehension if you didn’t understand the video entirely. I find it useful to watch the clip and few times before reading the article a few times. Then watch the clip again as it helps with understanding certain keywords and the story as a whole. NHK News Podcasts. Did you know that NHK have their own podcasts? Well they do! You can download regular news reports in mp3 format and put them on your mp3 player or ipod. The best thing about this is that you can practice listening to Japanese when out an about (I listen to the Japanese news when commuting into London everyday). This is a great way to expose yourself to the language, including the more advanced vocabulary that you need to know for the higher levels of JLPT. It’s also good for general listening comprehension, which is tricky to achieve when you’re not living in Japan. Try and read and listen to something everyday. Even if it’s only for 10mins and you don’t pay much attention. Don’t worry about not understanding everything. Repetitive exposure to these along with regular study will help you learn over time. You can use Rikkai-chan for Firefox and Rikkai-kun for Chrome to help you read kanji and Japanese words online that you don’t understand. Tagged Japanese News, NHK, NHK Podcasts.